Another scrumptious patterned baby romper by Toby Tiger! This snuggly soft sleepsuit features a bold floral design with fruity faves and a few cheeky butterflies too. 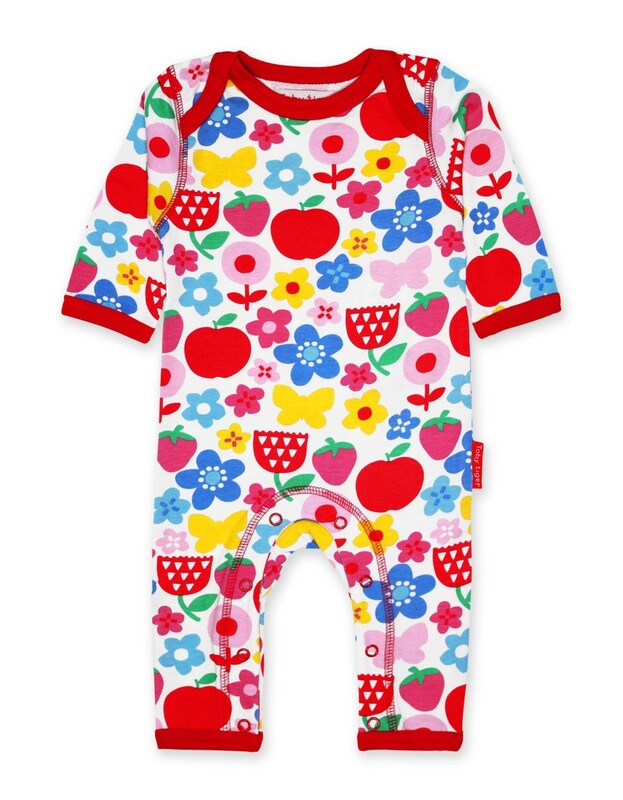 Bright red trims finish off this colourful sleepsuit beautifully. Would make a lovely gift for a new baby girl! All of our baby rompers are made from 100% GOTS certified organic cotton; no chemical nasties, great for delicate skin. Comes in sizes suitable for babies from 0-12 months and features an envelope neckline and popper leg fastenings to make it easy to pop on and off.